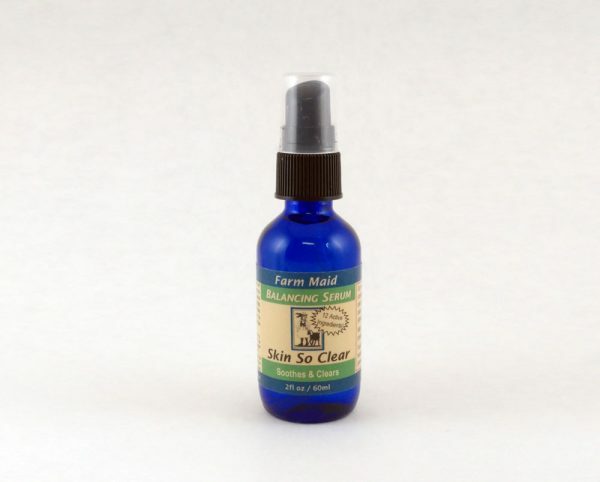 Our natural Skin So Clear Serum contains a synergistic blend of anti-microbial essential oils and precious oils to bring soothing relief to all skin types dealing with blemishes, blackheads & acne – without causing dryness and flaking! Mild. 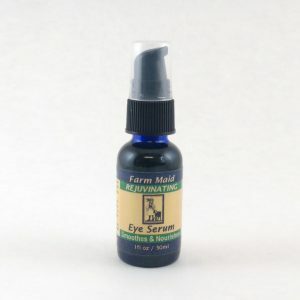 Can be used as an oil cleanser or even an eye serum. 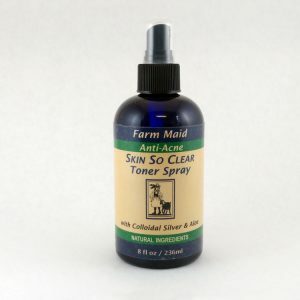 This serum absorbs fast and is perfect for oily, normal, dry, sensitive & acne prone skin. This fabulous treatment comes packaged in pharmaceutical grade blue colbalt glass with a small treatment pump for dispensing. Directions: Dispense onto back of hand or fingertips & apply gently to affected area after cleansing. Works best on wet skin. 12 Active Ingredients: Apricot seed oil, Argan oil, Jojoba oil, Sesame oil, Baobab oil, Tea Tree oil, Sage oil, Lemongrass oil, Lavender oil, Lavandin oil, Lavender Spike oil, Vitamin E.
For external use only. Not for internal use. Do not use if you have nut allergies. Avoid contact with eyes. Discontinue if irritation occurs.